Love Indigo Deli? We do, and we love their all-new lunch offer. Eat a delicious set meal for INR 500 plus taxes at Indigo Deli R City Mall and Malad, and for INR 750 plus taxes at the restaurant’s flagship outlet in Colaba. New Year means new beginnings and what better way than to kick-start 2017 than on a hearty yet healthy note? 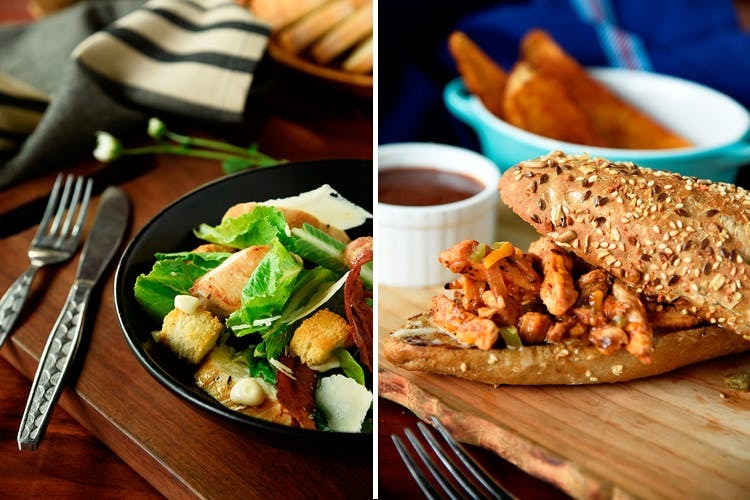 Indigo Deli has recently launched a lunch offer, where you can get a delightful meal for a fabulous price. Choose between scrumptious combinations of soups and sandwiches or soups and salads and enjoy a super filling lunch. So look forward to their soup of the day, salads such as ceasar salad, citrus salad, etc., and sandwiches such as Philly cheese steak, pepper chicken and so on. This offer can be availed at INR 500 plus taxes at the Indigo Deli R City Mall and nalad, and for INR 750 plus taxes at the restaurant’s Colaba outlet. Honestly, we quite like the idea of a light lunch, and this offer seems perfect. Go here if you work around Colaba, Ghatkopar or Malad, because a healthy and delicious eagerly awaits you. They haven’t put an end to the offer yet, but we will keep you posted on that.